What do the ancient Indian spiritual literature, ancient Parthenon of Greece, and modern western technological wonders have in common? Human creativity flows uninhibited when human beings experience a reasonable degree of freedom, sense of community, and trust. This is the common thread. 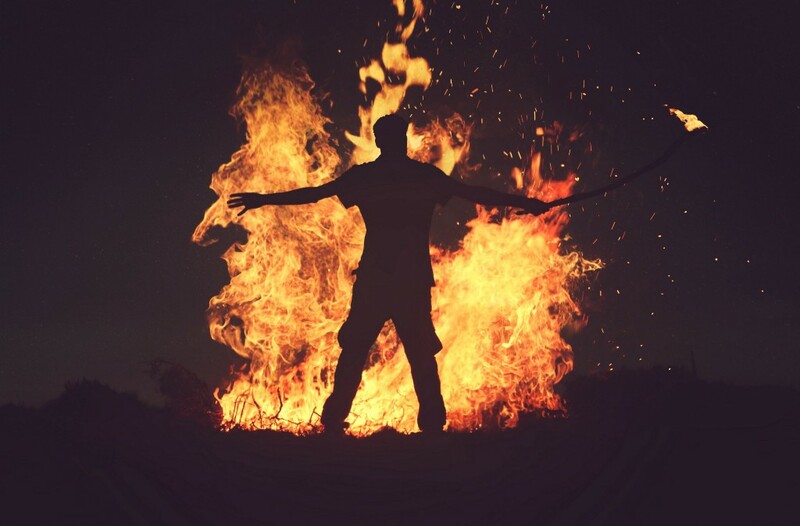 In this article, I will describe how blockchain and burning man foster creativity through freedom, community, and trust. The blockchain technology implements a decentralized peer-to-peer (P2P) network where anyone can join. Every node, i.e. a computer on the network maintains the entire information on the distributed database and can view the entire transaction history. Every node has equal authority, which results in a community instead of a top-down command-and-control structure. There is no single central administrator in a public permission-less blockchain. Transaction records are grouped together in blocks, which are stacked on top of other blocks one-by-one. Robust consensus algorithms protect the sanctity of data. Decentralization encourages the community spirit, while a transparent and secure network help in improving trust. No wonder then that the blockchain technology is transforming the world, whether in the healthcare sector or in Cloud storage. What is the “Burning Man” festival? Larry Harvey and John Law, American citizens both, had founded the “Burning Man” festival in 1986. They had built an 8-feet wooden statue of a man and ritually burnt it in a San Francisco beach on the Summer solstice day that year. The spontaneously arranged event immediately attracted a few enthusiasts. Over time the event grew, and due to law enforcement restrictions of burning a statue in a California beach, the festival moved to the Black Rock desert in the state of Nevada. From a handful of onlookers in 1986, the week-long festival now attracts nearly 70,000 people from diverse backgrounds to the desolate desert every year. The festival volunteers build a city in the desert entirely on their own, arrange many art exhibitions and other cultural events. They build a large statue with a temple, host thousands of people, and after a week they just burn the statue and the temple. The participants, called ‘Burners’, consider the burning ritual a symbol of cyclical destruction and creation sequence, and hence sacred. The burner community demonstrates an amazing sense of community feeling, openness, cooperation, and creativity. After the festival, everyone cleans up the entire place, again to assemble next year and build their ‘Black Rock City’ in that desolate desert. Read more about the Burning Man festival on their website. Blockchain and Burning Man: Similarities galore! Emphasis on a ‘Changeless Core’. These are words of the late German philosopher Friedrich Nietzsche. Late Viktor Emil Frankl, the founder of “Logotherapy”, and a Holocaust survivor, immortalized these words in his book “Man’s Search for Meaning”. Read the book and how these words communicate the importance of a noble purpose here. Blockchain enthusiasts want to change the world for better, with the decentralization and immutable records the technology promises. Read about these exciting projects in “Real World Blockchain Use Cases — 46 Blockchain Applications“. Burning Man community also wants to improve the world we live in, through community effort and deep bonding between human beings. Let’s wish both of these communities success! Burning Man festival is all about community. The festival and the year-round preparation for it focuses on building bonds between complete strangers. Everyone helps other ‘Burners’, especially if the ‘Burner’ is new. Communities drive the public blockchain projects like Bitcoin or Ethereum entirely. They debate various improvement proposals and decide on future upgrades in a transparent manner. When the Bitcoin community implemented ‘Segregated Witness’ (SegWit), they used a community approach and achieved consensus. Public blockchains and Burning Man allow anyone to join. Anyone can run a full Bitcoin node. Similarly, the Burning Man festival is open to all, without any discriminations whatsoever. Public blockchains allow users to use their pseudonyms. Burning Man also allows this to their ‘Burners’. In the Burning Man festival, you spend no money once you buy your entry tickets and come with your camping gears etc. Only one central facility accepts any money at all for the goods or services they sell, and that’s for a very specific purpose. The community values the concept of gift and voluntary efforts. Developers submit all improvement proposals in public blockchains, voluntarily. They also do the necessary programming for those improvement proposals voluntarily. For e.g. in the Ethereum blockchain, the ERC 20 token standard has a bug, which burns tokens in some cases. An Ethereum developer voluntarily proposed a resolution through ERC 223. These are words of the late American leadership expert and celebrated author Stephen R Covey. Read how much importance he accorded to a set of non-negotiable core principles here. Successful organizations, communities, and people always hold a set of fundamental principles sacred, while they are open to evolution about everything else. Burning Man is a spiritual festival, founded on the concept of unconditional bonding between one human being and another. While they are open about who participates, they never compromise on their core rules, for e.g. voluntary effort over revenue from advertisement. The blockchain community is fiercely protective about what they consider the core of the technology, i.e. decentralization and immutability of data. They scrutinize all improvement proposals and oppose any proposal that seeks to dilute this core. Both Blockchain and Burning Man promise much, however, as the late American historian Will Durant had observed, civilization is fragile. It takes a long time to build a great civilization, but only a generation of carelessness can destroy it. Read more about Durant’s observation in this Will Durant Foundation webpage. As the crypto community has found, unscrupulous players are running scam ‘Initial Coin Offerings’ (ICOs), and duping crypto investors. I am happy to see that the community is considering improvements such as DAICO to prevent scam ICOs. They must remain vigilant. The Burning Man community needs to look at the alleged cases of substance abuse during the festival. Also, in the 2017 festival, a participant overpowered volunteers and jumped into the fire. He died the next day due to severe burn and the cardiac arrest it caused. The festival creates powerful emotions, and the community must support participants with emotional turbulence to prevent such regrettable loss of life. Both initiatives deserve our sincere support, and I hope they remain eternally vigilant in their journey to make the world a better place. Originally published at 101blockchains.com on July 26, 2018. 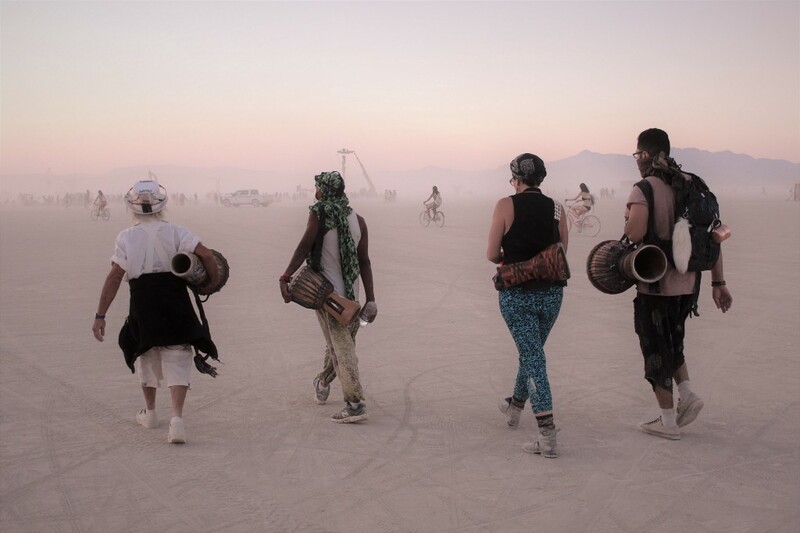 Blockchain and burning man: Catalysts of creativity through community and trust was originally published in Hacker Noon on Medium, where people are continuing the conversation by highlighting and responding to this story.